We would like to ask you, if you could send your donation directly to those people who found themselves in a hopeless situation! 1. To help the rescue operations and the recovery works send your donation to the bank account of the Hungarian Water Rescue Services (Hungarian name of the account holder: Vizimentok Magyarorszagi Szakszolgalata). Account information’s: IBAN: HU31 1040 4955 4951 5811 0000 0000, SWIFT CODE: OKHBHUHB, Bank name and address: K & H Bank Zrt. Fo square 6-8., Keszthely 8360, Hungary. We would like to ask you to send an email with your personal data (name, address, tax registration number or equivalent. If you are donating as a company: name of the company, address, VAT. number or equivalent) to let us to send a tax certificate about the donation. 2. To help the victims to recover their life’s please send your donation to the Hungarian Water Rescue Services Kolontar-Devecser Toxic Spill Victims deposit account. 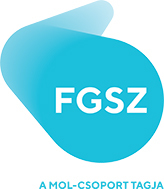 ( Hungarian name of the account holder: Vízimentők Magyarországi Szakszolgálata Kolontár-Devecser Iszapkatasztrófa Károsultak). Account information’s: IBAN: HU56 1040 4955 4951 5356 5750 1048, SWIFT CODE: OKHBHUHB, Bank name and address: K & H Bank Zrt. Fo square 6-8., Keszthely 8360, Hungary. The donations arriving to this account will be distributed directly to the victims' accounts by a committee with 3 members, after we size up the real needs. You can follow your donations' way through the Keszthely’s TV, Helikon Radio, and the Hungarian Water Rescue Services web page (www.vizimentok.hu). We thank your donation on behalf of the victims.